For previous years’ Common Law Admission Test (CLAT) candidates, faculty quality of a law school was the most important factor in choosing whether or not to seek admission, according to a study conducted by Nalsar Hyderabad on legal education reforms which was commissioned by the Department of Justice (DoJ). NLIU Bhopal has hit limbo in the appointment of its next director since Tuesday, as first reported by the Times of India, because students have opposed the nomination of Allahabad University professor Bhanu Pratap Singh to the post, based on the ground that in their opinion several other candidates rejected had far greater fitness for the post. The newest among 25 national law universities (NLU) in India, and Madhya Pradesh’s second NLU, NLU Jabalpur yesterday was given its first director as the high court appointed former RMLNLU Lucknow and NLIU Bhopal vice chancellor (VC) Prof Balraj Chauhan to the post. NLU Delhi 2017 alumnus Saumya Sharma has made it to the Union Public Service Commission (UPSC) merit list’s toppers with a rank 9 in her first attempt at the exam, as first reported in her interview by blog Insights on India. 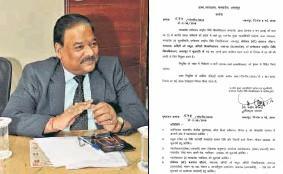 CNLU Patna appointed retired district judge Manoranjan Prasad Srivastava as its acting registrar on 11 April, following the resignation last week of its former registrar SP Singh, whose removal CNLU students had demanded with protests on campus. Nirma University’s law school students brought India’s apex rural development organisation NABARD’s and the Ajeet Rural Development Foundation’s (ARDF) support to 20 women in a village in Ahmedabad.